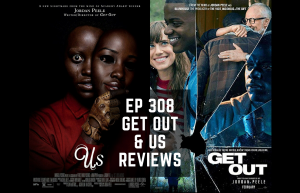 Ben takes a look at Jordan Peele’s recent movies (and also takes a short, non-spoilery look at the Twilight Zone). The first half of the episode is with no spoilers, while the final part digs in deep to the themes and plot of the movies with full spoilers. Also, Ben talks about his new project, SUPERSONIC Pod Comics.